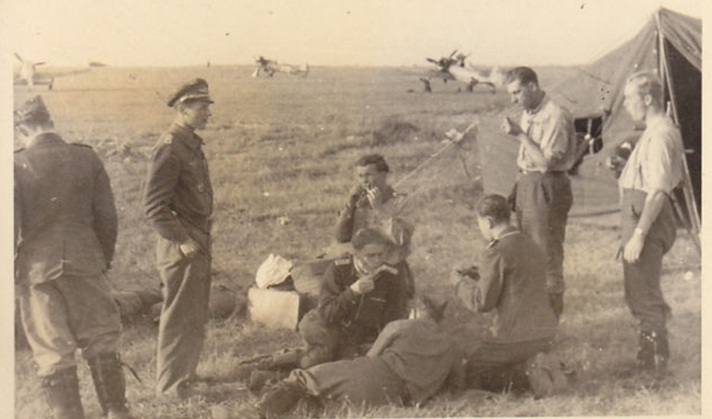 Pilots of 1./JG 54 in Uwrutsch on the Russian Front, most probably during the summer of 1943. Seen standing second from the left is Oblt. Robert Weiß ( RK on 26.3.1944, posthumous EL on 12.3.1945, KIA on 29 December 1944, approx 121 victories). Second from the right (standing) is Lt. Gerhard Loos (RK on 5.2.1944 having achieved some 92 Luftsiege) Loos was KIA on 6 March 1944 after combat with US 8th AF fighters over Rheinsehlen (pilot baled out but hit power cables). Below; seen third from the right is Ofw. Fritz Tegtmeier also in Uwrutsch (RK on 26 March 1944, total victories approx 146 Luftsiege). Second from the right is Uffz. Ernst Richter who as Nowotny's Rottenflieger witnessed some 120 of the leading Fw 190 ace's victories ( approx 120 Abschußbestätigungen ). 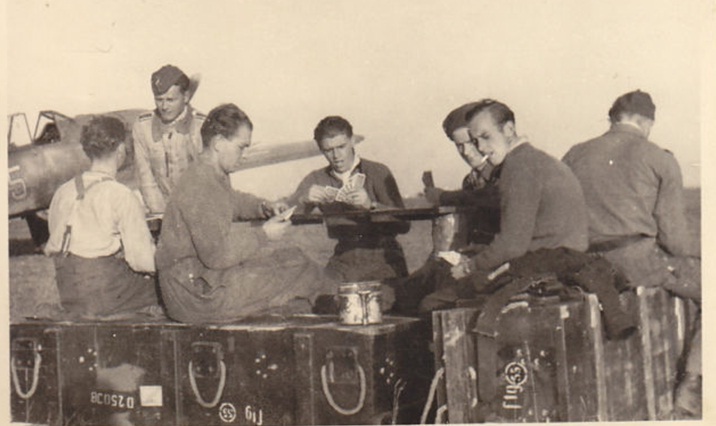 Fourth from right is Fw Mudos. 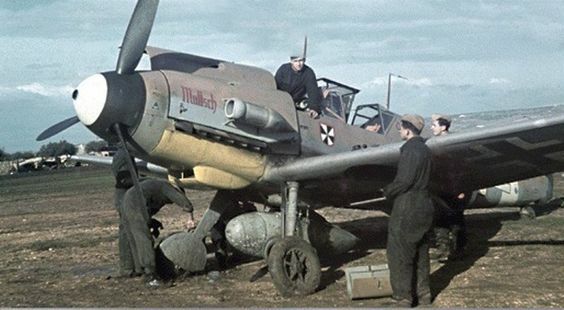 Note "weiße 5" of 1./JG 54 in the background.